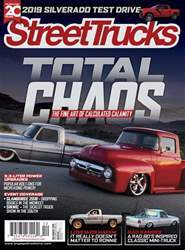 AS A TEEN, Jeremy Pendergraft from Hollis, Oklahoma, used to flip through the pages of his favorite truck magazines, dreaming that he would someday build his own. “When I was growing up, I would see trucks that were perfect, and it felt unreachable”, he recalled. Fast-forward to present day. Times have changed, attitudes have changed, and Jeremy was sitting on a custom gold mine of family-owned trucks to work with. His wife ultimately provided the push he that needed to turn an old work truck into the low, mean badass he wanted without emptying his wallet in the process.